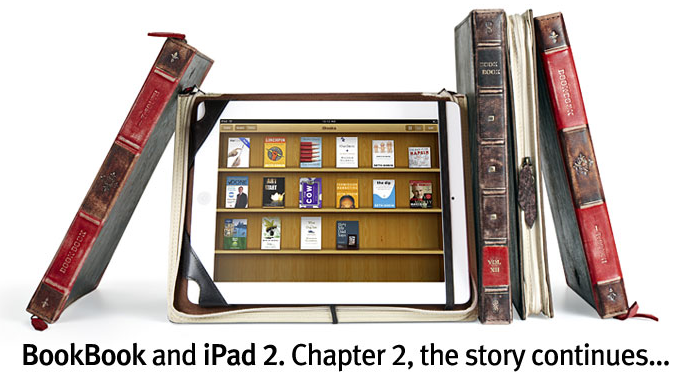 Well what do you know, Twelve South's vintage looking BookBook leather case for the iPad is compatible with the iPad 2 as well. Just like with the Compass stand, the BookBook will not and does not need to be redesigned says Twelve South. So if you've got one of these laying around and you just purchased a shiny iPad 2, you're good to go while others can purchase the BookBook right now for $69.99 in a classic black or in a vibrant red scheme. Will The iPad 2 Blend?